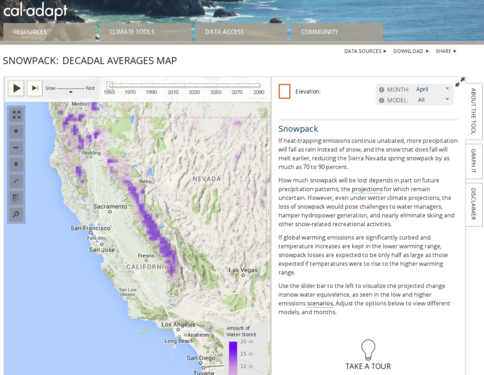 This is an interactive map of California and the Sierra Nevada mountains, showing how the amount of water stored in the snowpack will vary under different climate scenarios. 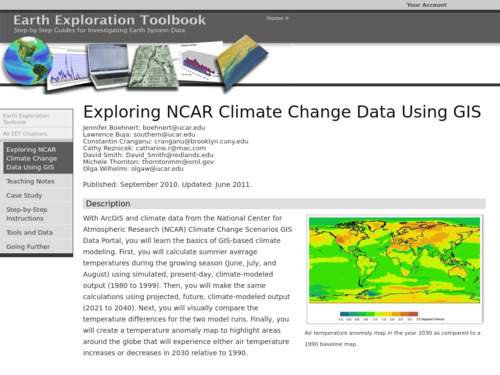 The tool shows observations and projections from 1950 to 2090, and uses low or high emission scenarios to model future snowpack. 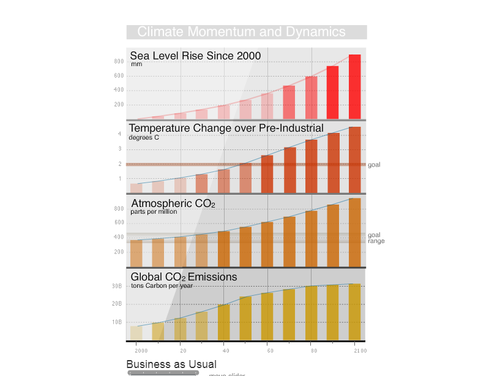 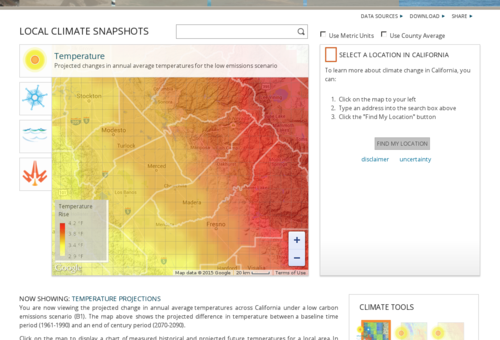 The tool can be adjusted to show different months of the year and various climate models, graphed by site. 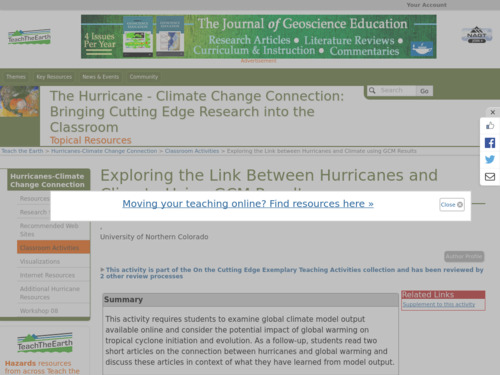 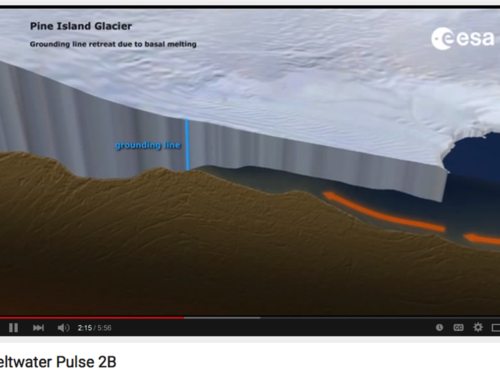 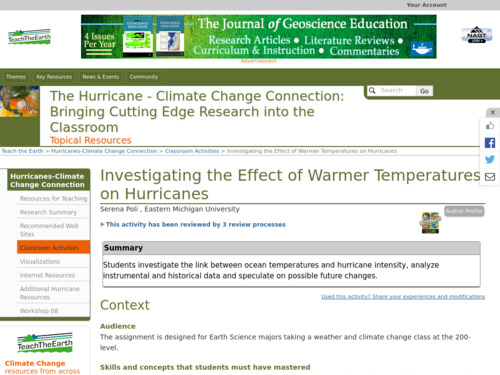 In this activity learners investigate the link between ocean temperatures and hurricane intensity, analyze instrumental and historical data, and explore possible future changes. 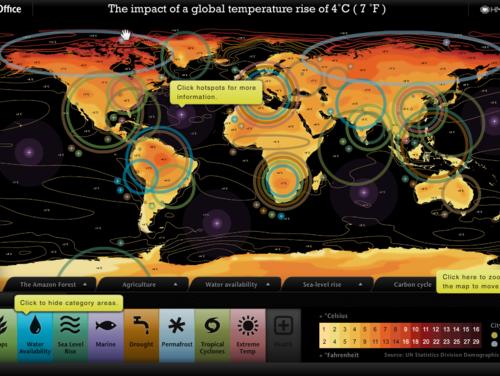 This interactive world map shows the impact of a global temperature rise of 4 degrees Celsius on a variety of factors including agriculture, marine life, fires, weather patterns, and health. 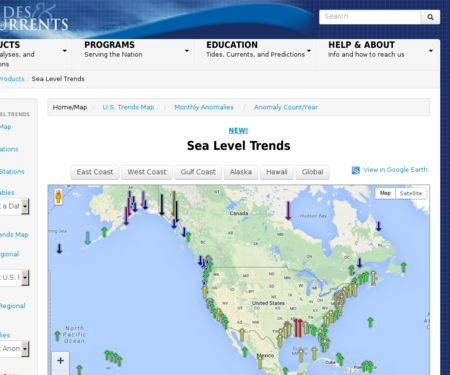 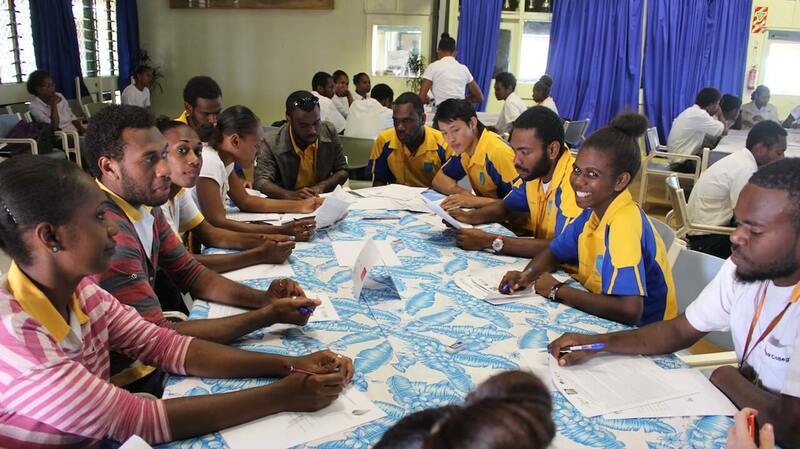 Hot Spots can be clicked on to get more specific information about the problems in different regions.